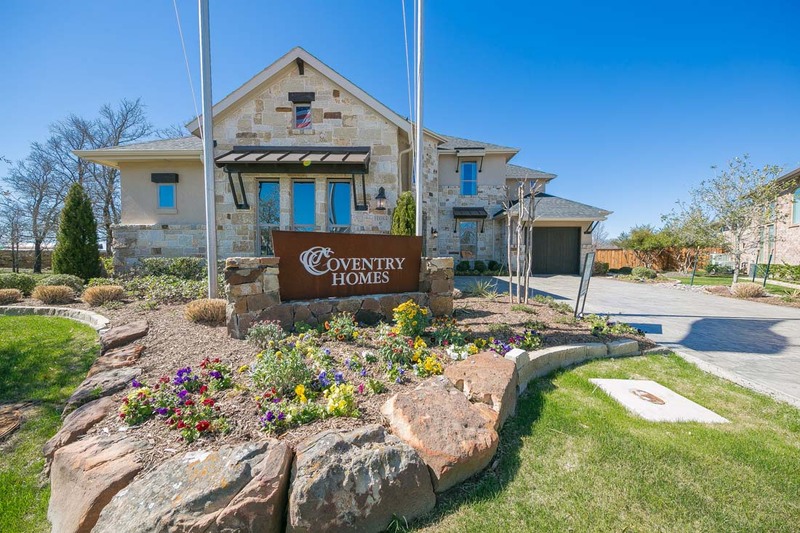 Canyon Falls is a 1,199‐acre master‐planned community located within the municipalities of the Town of Flower Mound, Town of Argyle and Town of Northlake. Set in a landscape of mature native trees and stunning views of Graham Branch Creek, Canyon Falls connects appealing, approachable neighborhoods with the wonders of nature. Enjoy more space to be yourself—plus room to grow—inside our distinguished Canyon Falls Homes for Sale. You can also branch out inside the community clubhouse, which offers a luxurious pool, scenic event spaces and fitness facility. 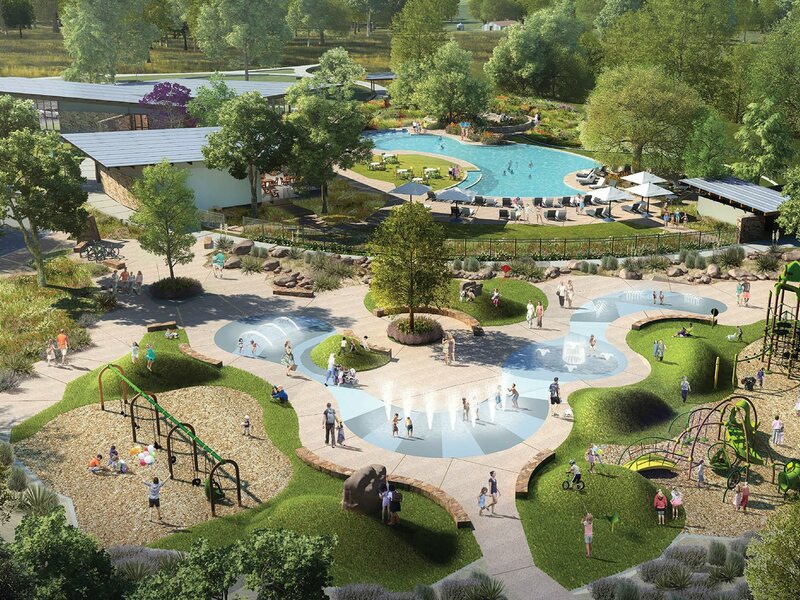 From expansive open spaces to distinctive community parks, including The Porch, Hay Barn and Pooch Park, plus Westbridge Park and Pool, Canyon Falls has spaces for everyone. And for those who wander, there are miles of adventure trails waiting to be explored. Families can also enjoy the academic advantage at our highly ranked school districts, Argyle and Northwest ISD. It’s all happening in one of the most exciting communities in the Dallas-Fort Worth Metroplex. 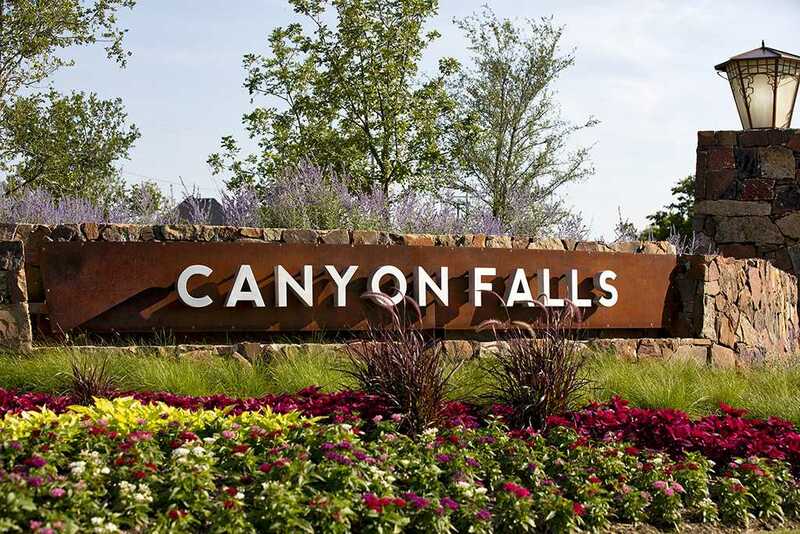 Information about Canyon Falls Homes for Sale and Canyon Falls Real Estate can be found calling or stopping by our office located just South of Canyon Falls in the master-planned community of Castle Hills. Stop by or call Renee Mears Realtors for a list of currently available homes in Canyon Falls. When looking to buy a home in Canyon Falls or sell a home in Canyon Falls it is always best to use an experienced Canyon Falls Realtor. If you are interested in Canyon Falls Homes for Sale call Renee Mears at 972-489-0828. What’s my Canyon Falls home worth? Spectacular one story w Loads of upgrades, includes lighting, plantation shutters, ship lap in bathroom, barn door, outdoor fireplace,TV connection,and feature lights.The gourmet kitchen offers granite counter tops, gas cook top, large dining bar, pendant lighting, canned lighting,SS appliances, walk-in pantry, contrasting island with dining bar.Beautiful wood floors are featured in family room, kitchen, dining, breakfast area, & powder room. Open concept and family friendly plan.Outdoors, you'll love the living area, w fireplace, and very spacious fenced back yard.Teen retreat w living, bath and game room separated by barn door. STEPS FROM MIDDEL SCHOOL AND ZONE FOR THE NEW ARGYLE WEST ELEMENTARY!! ALMOST NEW! 4 bdrms, 3 full & 2 half baths, study, game, media, 3.5 car garage on large lot. Large covered patio overlooks pool-sized yard, no neighbors immediately behind. Bdrm 2 is on Level 1, w- PRIV. BATH & walk-in closet. WOOD FLOORS in family, dining, kitchen, nook, study, halls & entry. Kitchen features island w- pendant lighting, double ovens, gas cooktop, HUGE walk-in pantry. Game room has dry bar w- fridge, & french doors for privacy. Study built-ins & student desk area up. Sitting area in extended master w-bay window. Energy efficient: 16+ SEER AC, radiant barrier, tankless H2O. Sink & cabs in laundry, convenient walk-through to master closet. Exceptional Argyle schools, close to Liberty Christian. PERRY HOMES NEW CONSTRUCTION! Mahogany front door. Two-story entry. Library with French doors. Kitchen features a large pantry and a island with built-in seating space. Two-story dining area opens to two-story family room with four large windows. Private master bedroom. Double doors lead to master bath with dual vanities, a large garden tub, a separate glass enclosed shower and a large walk-in closet. Private master suite with a walk-in closet and full bath. Media room with French doors, game room and secondary bedrooms complete the second level. Covered backyard patio. Mud room leads to the three-car garage. This home is in the released stages of construction as of April 17, 2019. MLS# 14064329 - Built by Ashton Woods Homes - April completion! ~ Beautiful 2 story home within the master planned, amenity-rich, community of Canyon Falls in Flower Mound. Brick and Stucco exterior. Bay Window in Master. Upgraded 8 ft. doors with 9 ft. plate on first floor. Gas drop on patio. Kitchen features Silestone counters, pull out waste basket, pot and pan drawers & tray dividers top of oven. Medicine cabinets added to two baths. Wood in main areas on first floor with carpet on stairs and all bedrooms. Upgraded under-mount sinks with wood & faux wood blinds throughout. Located on beautiful corner lot..
Popular Highland Homes model 242 - 5 bed 4 bath 1.5 story with tons of upgrades! Wonderfully open concept living-dining-kitchen with handscraped wood floors & gas fireplace. Gorgeous kitchen with quartz c-tops, SS appls, dbl ovens, 5 burner gas cooktop, farm sink, pot filler & lg island with seating. Dedicated office, media & 2nd floor bonus room. Utility with sink, handy mud room & oversized 3 car tandem, 8 ft door, epoxy coated garage with AC & heat. Extended master suite & luxurious master bath with freestanding tub & shower body jets. Upgraded tile in all baths, handy workstation off main living & extended patio for entertaining. Enjoy the Canyon Falls parks, trails, pools & area events. Welcome Home! This showstopper, in Argyle ISD, has a family friendly floorplan with 4 beds & 4 full baths, offers a lock and leave lifestyle. Ideal for family gatherings with a well-appointed kitchen opening into the large family room. Entertain with ease poolside in the backyard oasis or host movie night in the media room. Be sure to check out the ample storage space in two finished out attic areas. Not only are there builder upgrades found throughout, the seller made many additional improvements to the home as well. Too many to list! Contact me for more information and a viewing of this beautiful home. Outdoor entertaining at it's finest! This 4 bedroom, 4 bath home in Canyon Falls can't be beat. This 2 year old home has all the perks of a new home plus a custom out door kitchen and living area, complete with surround sound on the patio, living room and master bath. This well appointed kitchen that flows openly to the living and dining area, is a chef's delight. Gas range, double ovens, wine fridge and a massive island that all your friends can crowd around. The second living area can be used as an office or play room. The utility room, adjacent from the mud rack leads into the large master closet. Don't miss the opportunity to see this home, in Argyle ISD and all the amenities that Canyon Falls has to offer. PERRY HOMES NEW CONSTRUCTION! Mahogany front door. Formal dining room set at two-story entry. Morning area opens to spacious family room with wall of windows. Garden tub, separate glass-enclosed shower, dual sinks and walk-in closet in master bath. Game room and secondary bedrooms complete the second floor. Abundant closet space. Covered backyard patio. Two-car garage. This home is in the Released stages of construction as of March 19, 2019. You won't want to miss this BEAUTIFUL Drees Custom home with an AMAZING BACKYARD OASIS (installed Spring 2018) in highly sought-after ARGYLE ISD!! This open-concept home features a beautiful spiral staircase, wood-beam accented ceilings, hand-scraped hardwood floors, a chef's kitchen with high-end appliances, and a large island that is open to the living room. Downstairs you will find a large master suite, a separate study, and a secondary bedroom with its own full bath. Upstairs offers 2 large bedrooms, 2 full baths, a game room and a media room. Enjoy the amazing backyard oasis that features a large modern design pool, a relaxing spa, and plenty of outdoor living space!! What's my Canyon Falls home worth?